The Project was a Design and Build construction of a new extension building to the Wexham School campus to provide a learning Environment for local young people in the NEET (Not in Employment, Education or Training) category. The project was funded by the Learning and Skills Council and was conceived to become the base for innovative curriculum studies, helping young people improve their education and future career prospects through short courses. The building was designed in collaboration with the teachers and students to help create a sustainable teaching centre which would represent the occupants’ views of an enhanced learning environment. A new full height dance studio, a gallery, digital media suite, ceramics studio and changing rooms were constructed alongside new, general teaching areas. 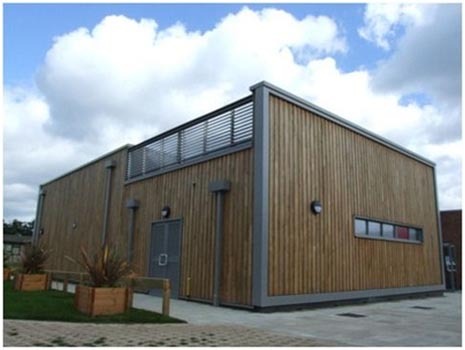 These facilities were built within a new, timber framed building topped with an environmentally friendly green roof.